Android as a mobile OS has evolved so much since it’s inception. From being a naive little competitor to Apple’s iOS to becoming a market leader in today’s time. It did it all in a very small time and publicity. All this happened thanks to it’s open nature and because it was open source, it allowed bigger OEMs to take advantage of the open code to create a custom experience with Android for their phones and devices. So Android being such a big platform, allows devs some great audience and reach to build and market their apps and games. 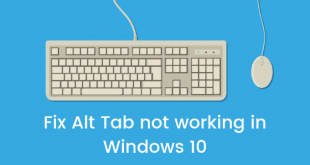 Some of these apps and games are so useful and amazing that they don’t even have a desktop counterpart of themselves and hence we always look for methods that could help us in running these apps and games on our desktop PCs. 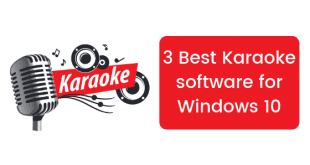 In this post we will be seeing how to install Android apps and games on Windows 8 and above and trust me people this is the easiest method out there. 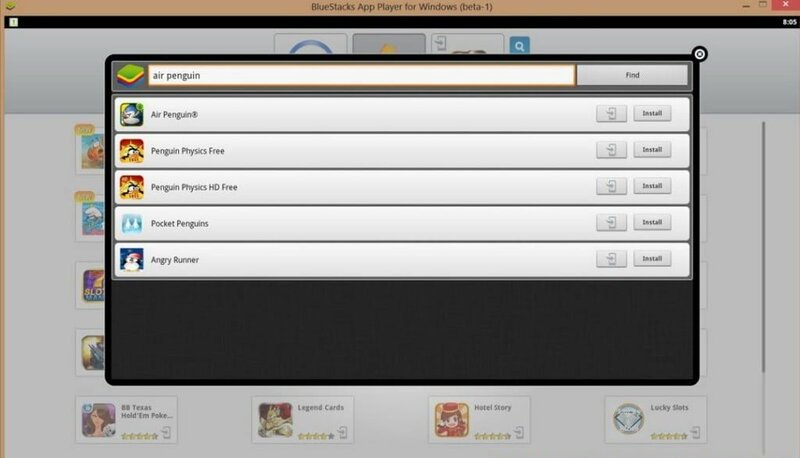 This process will be done with the help of a software named as Bluestacks. 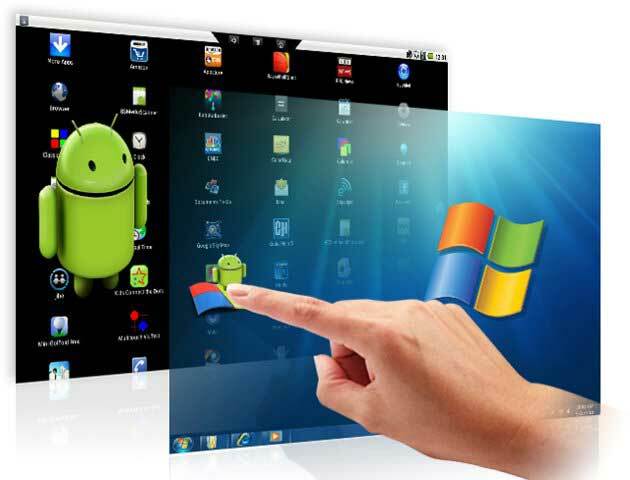 Bluestacks helps you run your favorite Android apps and games on your PC that is running either Windows 8, 8.1 or above. You will be asked the market you want to download the app from 3 markets. 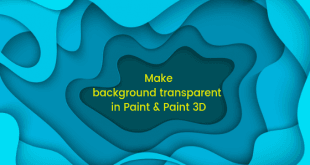 It’s better that you choose Google Play Store. After choosing Google Play Store you will be asked to log in to your Google Account. After you have logged in you will be able to see that the download is in progress and it will be installed after the download is complete. 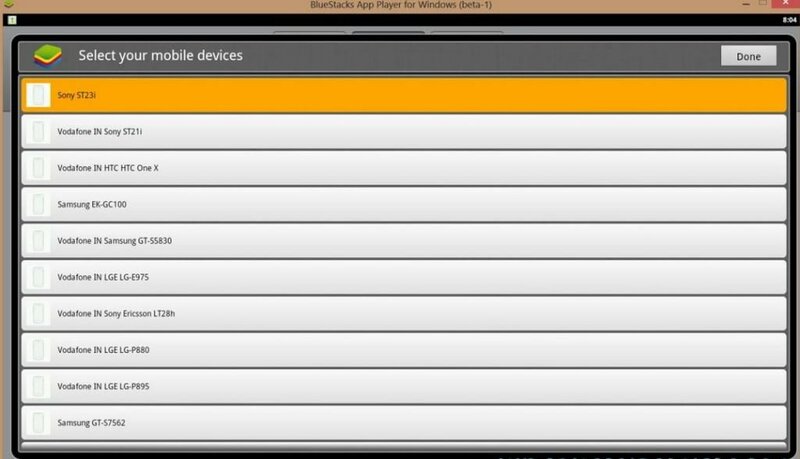 So this is how you can install Android Apps and Games on Windows 8 easily. 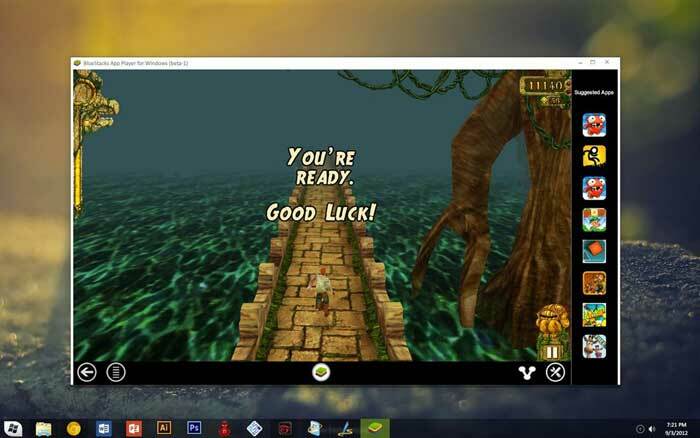 In the above pic you can see Temple Run working on Windows 8. Just follow the steps above to do the same.